Discover a new way to iron! The BLACK+DECKER Light 'N Go Cordless Iron makes it simple to remove wrinkles without the hassle that comes with traditional corded irons. The cordless design gives you the freedom of movement, with no power cord to tangle or get caught up on the ironing board. 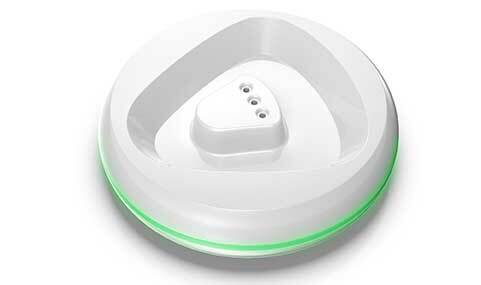 It's all possible with the charging base, which heats up the iron fast and includes a light ring that indicates when the iron needs to recharge and when it's ready to use. You can get up to 25 seconds of cordless ironing from quick 10-second recharges-that's the time it takes to readjust garments on the ironing board. 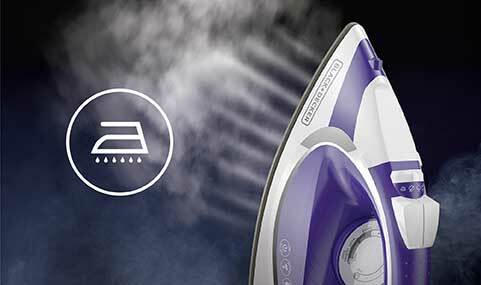 The nonstick ceramic soleplate retains heat well and smooths out wrinkles on a variety of ironable fabrics, and the steam and spray mist controls let you quickly remove tough creases and wrinkles. Other features include: 1500 watts, vertical steam, auto shutoff, large water tank, self-cleaning function, 6ft power cord, 2-year limited warranty. 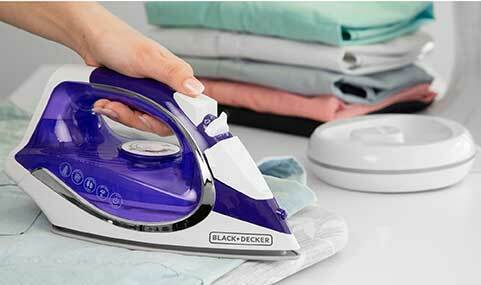 The base of iron provides quick iron recharging, that does not interrupt the flow of ironing. The base has light and sound to indicate the status ­— ready, and recharge needed. The durable, nonstick soleplate efficiently retains heat and smooths out wrinkles on a variety of ironable fabrics. The side-by-side buttons offer total moisture control for quick removal of tough creases and wrinkles. Iron the easy way! With no cord, you don’t have to worry about tangling or getting caught up on the ironing board. You have full freedom of movement! The charging base includes wrap-up storage for the 6 ft. cord for ease of storage. 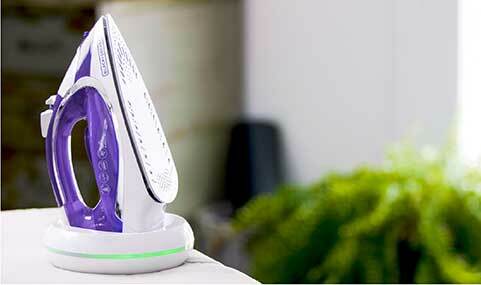 Up to 25 seconds of cordless ironing, with fast 15-second recharge. 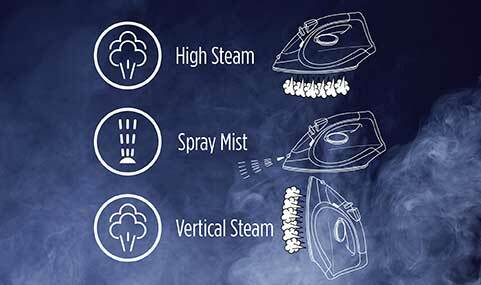 Steam away wrinkles, even on drapes, curtains, and clothes on the hanger. 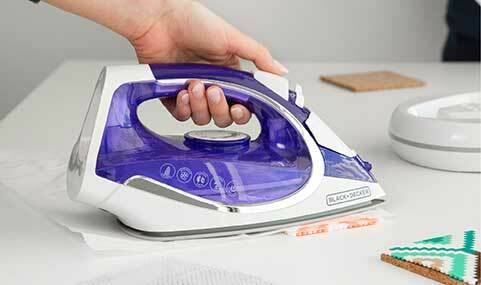 The iron heats up quickly with every recharge—as fast as 10 seconds! 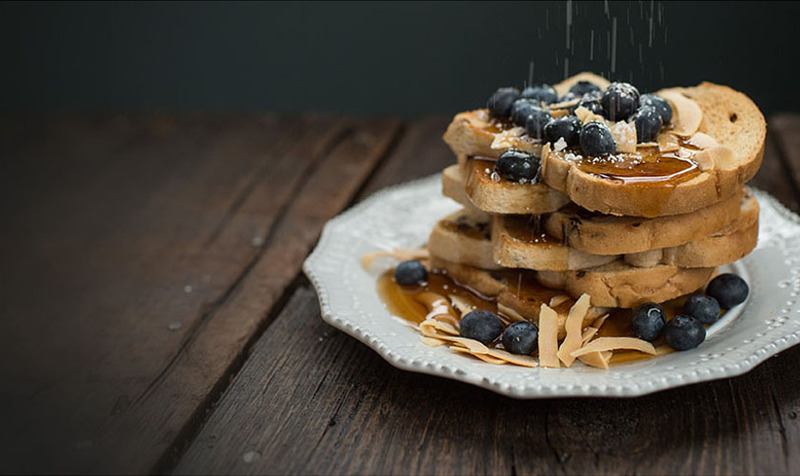 Use the iron’s automatic cleaning function to avoid scale buildup. Light 'N Go Cordless Iron is rated 4.6 out of 5 by 60. Rated 5 out of 5 by Anicole from Now I like ironing I never liked ironing because the hassle with the cord not being long enough. This irons heats up fast. The plate gets hot enough to do the job without snagging my clothes. Its easy to add water to it. It works just like a normal iron except its easier to use because it doesn't have a cord. Not to heavy in the hand either and easy to store with the base. Rated 4 out of 5 by JerysWhspr from Great Iron Best thing about this is it’s cordless. It gives you so much more freedom to move the iron around easier without the cord getting in the way. It heats up fast and gets the job done. Rated 1 out of 5 by Alexia from Doesn't work. At all Doesn't work. At all. Will not stay charged for more than 3 minutes and leaks water all over the place.I'm going to call and request a replacement because I cna only think this one's defective. Rated 5 out of 5 by terriw91 from No cord to trip over I really like using this cordless Light N Go Iron. I always got hung up on the cord or end up tripping over the cord on my previous iron. It does get some used to having to set it in the cradle when you're done ironing instead of just on the ironing board, but once I was used to that I was moving along! Rated 4 out of 5 by Jessica72084 from Great iron As much as someone can like ironing clothes- this iron made the process easier than ever. Love the cordless feature! Rated 5 out of 5 by DianeMae from Great all around iron Lightweight, CORDLESS, easy to use, heats up quickly. What more can you say? It's so nice to be able to take this wherever I need to, to iron my garments. I would highly recommend this product. Bought this iron removed it from the box and unwrapped it as instructed. Plugged it in to an active wall outlet. The base light flashing both red and green. The iron will not heat up. How does the iron turn on and heat up? I believe it comes in the off position. Try turning the temperature dial a quarter turn. How much does this iron weigh? Just the iron part, not the base included. Empty and dry, it weighs 2 pounds, 5.4 ounces. how many steam holes on this iron?